If your trailer or hitch starts bouncing or swaying in any direction too much while towing, you could be putting yourself, your cargo, and everyone on the road around you at risk. 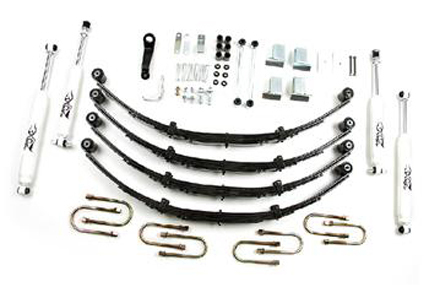 Springs support your cargo and help stabilize the load for greater security and safety. Look to us for a full array of spring products to ensure your cargo is secure no matter how far you need to haul it. Trying to fit springs that aren’t an exact fit for your vehicle can lead to frustrating and dangerous consequences. Rather than settling, let us build springs that are custom tailored to your specific needs. Get in touch with Tri–City Spring Corp. today. We can help you make confident decisions regarding your vehicle’s needs. Put your confidence in the over 80 years of experience that has given our family-owned and operated company our skill, expertise, and quality.